An Enhanced Learning Block (ELB) is a self-contained, complete management experiment used to test difference in rates, products, and application timing. Depending on the type of application, these treatment factors can be varied with 3-5 rates or applied as randomized on/off treatments. Treatments are replicated a minimum of 5 times and randomized within the trial area. The goal of an ELB is to provide a formal testing environment within a field to determine whether a treatment has a meaningful effect. You have the ability to implement scientifically designed research in your own fields with an expectation of accurate, statistically confident results. 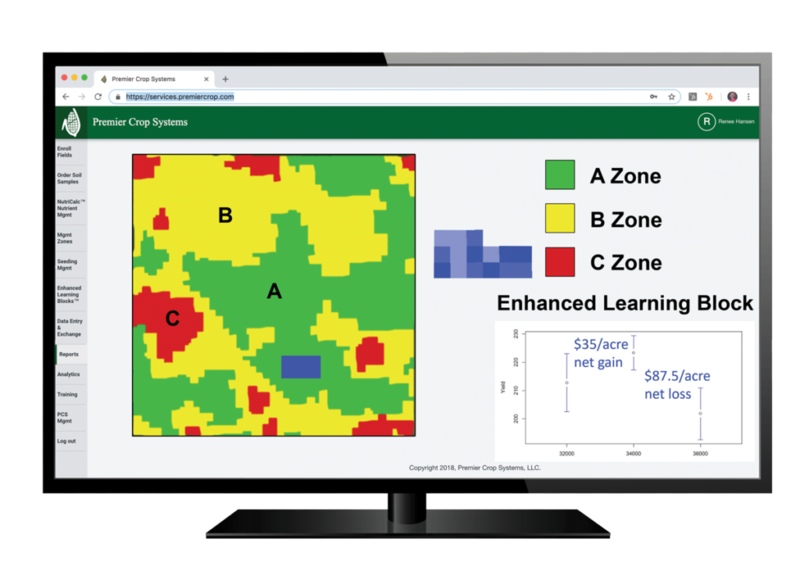 These scientific trials enable you to test new crop production inputs in replicated trials to identify optimal input rates for your local area with minimal risk. The scalable patent pending approach from these trials create local agronomic knowledge specific to your geography.